Join Violet Craft for a fun and rewarding afternoon making this beautiful mini quilt. 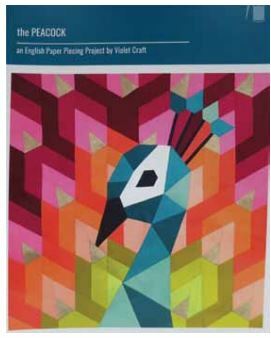 The Peacock is an English Paper Piecing (EPP) project that finishes at 20″ square; perfect for a wall hanging, pillow or integrated into a larger quilt design. Register today at the link below!